FCISM — the most important and entry level certification for Compliance Professionals and students who wish to kick start their career in the Info Security Domain. The training programme is designed to deliver in-depth understanding of the concepts and terminologies used in Compliance service lifecycle, including the links between stages, the processes used, and their contribution to service management practices. 32 hours of instructor-led training. 24 hours of self-paced learning. What is Foundation Course in Information Security Management? The Foundation Course in Information Security Management is programme designed to lay a solid foundation for graduates and working professionals who would like to build their knowledge, expertise or career in Info Security domain. The training programme simplifies the concepts, terminologies, process and the compliance lifecycle in any organisation. Students or professionals from any field interested in Information Security domain. Internal and external audit staff. Staff working in risk functions. You can study at home through our online video lectures and attend highly interactive Live projects and workshops. View details of upcoming workshop dates here. If you are based in a country where workshops are not available, you will study by online learning with enhanced online and tutor support. View details of upcoming online learning assignment submission & exam dates here. Toward the end of the program, students will likely complete an information security project or capstone course to focus on the knowledge and skills you’ve learned throughout the course. What is pay scale and outlook after the completion of the course? In addition to having an optimistic job outlook, information security analysts also have favorable salaries. According to the 2014 BLS report, these professionals made an average annual salary of $92,600. Successfully clear your examination with min 80%. The purpose of this course and the associated exam and certificate is to lay a solid foundation for graduates or professionals who would like to build their knowledge and expertise or career in Info Security. He is the Founder & Director of VISTA InfoSec. 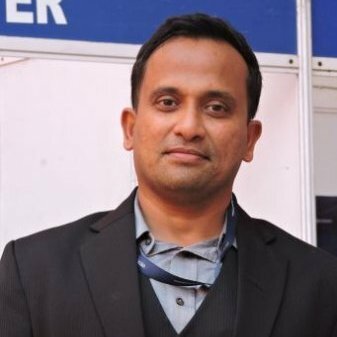 He is well-known in the industry for his acumen and insight into Information risk compliance and has worked on PCI projects for some of the largest companies in India and overseas including payment gateways and banks. He has 24 years progressive experience in the I.T. industry, Information Risk Consulting, Security audits, Designing and Implementing Security and Network Solutions and Programming. He has recently been awarded the “Crest of Honor” by the Indian Navy for his contributions and was inducted into the CSI – Hall of Fame for his significant contributions to the fraternity. How can I become a FCISM certified? Step 1 : Appear for FCISM exam after completing the training. Step 2 : Score 80% in 120 minutes [i.e. get 96 questions of 120 questions correct]. What are the prerequisites for FCISM certification? None, we take you through the basics. When is the next FCISM exam? At Academia Compliance we give you the flexibility of choosing the dates of the examination as per your schedule. How long does it take to know the FCISM exam results? Once you complete your examination, check your inbox after 48 hours and Abra ka dabra it will be there. What is the minimum score needed to earn the FCISM Certification? Benchmark is high, aim for it 80%. Any tips to help me perform well in the FCISM exam? From where do I download the FCISM exam application? The application form will be available at the end of FCISM programme. Very informative session, interactive & very helpful session about PCI-DSS requirement. Was a good informative and knowledgeable session. Excellent trainee with indepth knowledge on the subject.This was evident from the fact that he related and substantiated lots of the topics with real examples. Course was conducated in right spirit & with good interaction. Good flow of examples from real life was helpful. Very good session & would recommend others to join in the next consecutive session. What are the benefits after completing Foundation Certification in Information Security Management? Graduates with Foundation Certification from our academy are prepared to do a number of entry-level and middle-level jobs in information security. Many certificate holders go on to become information security analysts who plan and implement security measures to safeguard computer networks and systems at various organizations. According to the U.S. Bureau of Labor Statistics, employment of information security analysts is expected to grow 18% by 2024 because of the increase in cyber threats. What is the salary expectation after completing Foundation Certification in Information Security Management? What are the Popular Career Options after completing Foundation Certification in Information Security Management? According to the BLS, job positions for information security analysts are expected to increase by 18% between 2014 and 2024, which is faster than average. As of May 2015, information security analysts made a median salary of $92,600 a year, reports the BLS.